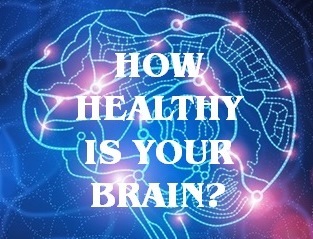 Keeping your brain healthy at any age depends in part on diet and food choices. 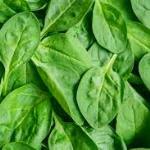 Knowing these top brain healthy foods (and the foods to stay away from) will help protect your brain for the long run. This list is from the MIND diet, a hybrid of the Mediterranean diet (all around good for you) and DASH diet (follow to reduce high blood pressure). 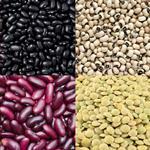 The MIND diet highlights the food and nutrients that research indicates is associated a lower risk of Alzheimer’s and dementia. How much of a reduced risk for Alzheimer’s disease? A 35% to 50% reduction in risk, based on a study of nearly 1,000 older adults participating in the Rush Memory and Aging Project. 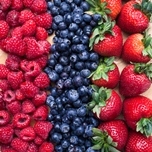 Tip: Berries are rich in polyphenols that protect neuron health, with extra benefit from blueberries and strawberries. 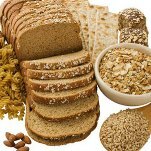 Tip: Whole grains are a good source of dietary fiber, and they also support cardiovascular health. 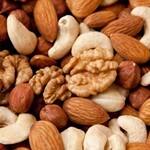 Tip: Nuts help lower high blood pressure and LDL (bad) cholesterol. 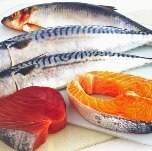 Tip: Fish is the best food source of Omega3 DHA & EPA, both necessary for a healthy brain. 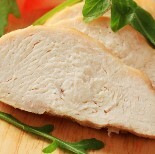 Tip: A better choice for a healthy heart and healthy brain versus red meat. 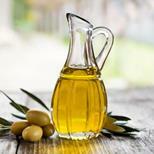 Serving: Use olive oil as a replacement for butter and margarine, and as a primary cooking oil. Tip: Olive oil is a good source of monounsaturated fat, the type that helps reduce inflammation and promotes healthy blood vessel function. Serving: One drink per day, no cheating, no “catching up” on the weekend. 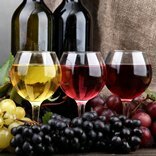 Tip: Moderate amounts of alcohol raise levels of high-density lipoprotein (HDL, or “good” cholesterol) in the bloodstream. This health benefit disappears with excessive alcohol use. The MIND diet targets fast food, fried food, whole fat cheese, red meat, butter and margarine, and pastries (yes, including donuts) as the food groups to avoid. 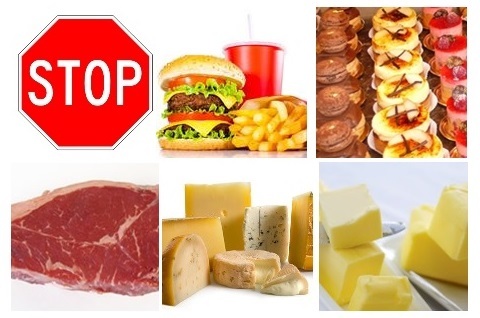 These food groups contain very high levels of unhealthy saturated fat and refined sugar — eating a “fast food diet” leads to diabetes, high cholesterol, heart disease, and high blood pressure — the four dark horsemen of metabolic syndrome. Metabolic syndrome is strongly linked to an increased risk of Alzheimer’s and dementia. Suggested serving: once a month or less, for each food group. Look at these foods as a very occasional indulgence. 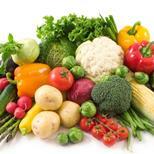 Following a brain healthy diet like the MIND diet consistently over many years will offer the best protection.